That gratitude to the UK has stuck with him to this day and certainly informs my own attachment to this country. But I don’t see anything wrong with being part of something else. My family heritage is more diverse than Daniel Finkelstein’s and perhaps his clear sense of belonging to the Jewish community helps him feel more rooted in the UK. Me, I have multiple affinities and see myself as belonging less to any one of them than to a broad secular European tradition. Theresa May’s “citizens of nowhere“ speech was sufficient in itself to motivate me to exercise my right to dual nationality. Retaining European citizenship is more than a hedge against catastrophe in the UK, it is a positive expression of my complex inheritance. 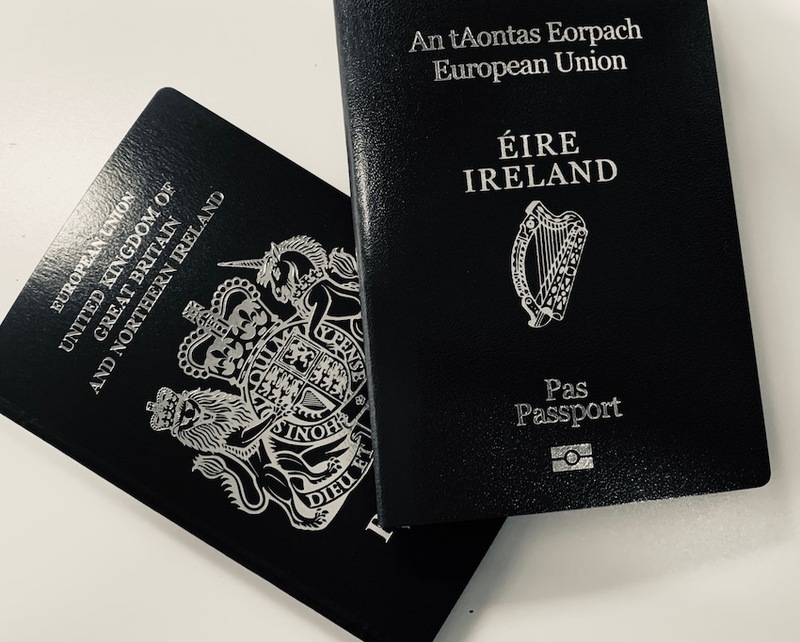 I am proud to hold an Irish passport as well as a UK one. Ireland is no stranger to the darkest reaches of political conflict. But it has transformed itself from a clerically dominated backwater to become a beacon in deliberative democracy. This coincides with Britain’s submergence beneath Scottish and English nationalisms and its descent into a constitutional chaos that belies its reputation for democratic pragmatism. We could yet see a way through the crisis ahead. But it’s hard to see how. When Britain is turning inwards, there’s a risk that our culture and our thinking could become hidebound and parochial. We need diversity of perspectives to find solutions to the challenges we face. Multiple affinities are a reality for many people. Britain and Ireland were pioneers in recognising and accommodating this with respect to Northern Ireland in the Good Friday Agreement (one of the very factors that is making Brexit such a difficult conundrum). Those of us who look to horizons elsewhere can keep open a channel to external influences. Better to capitalise on these than frown on divided loyalties.